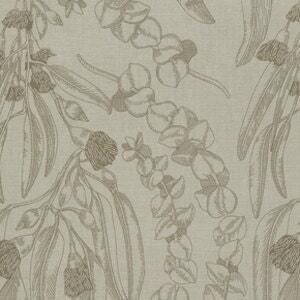 This listing is for a fat quarter of the pictured print, Eucalyptus in Bronze. Fat quarters are cut to Australian dimensions (approximately 50cm x 55cm or 20" x 22"). If you order more than one fat quarter, continuous yardage will be cut. (If you order 2, a half-metre will be cut). More yardage is available of all of our fabrics, contact us for a custom listing. We are happy to combine any of the fabrics in our store for a custom bundle for you - contact us for a listing. Payment is by PayPal or credit card. Shipping is calculated as per the listing details. If you are ordering multiple items, we will calculate the best postage rate for you and refund any overpayments. For greater certainty on shipping rates for multiple items, please feel free to convo us and we will set up a custom listing for you with the correct postage. Postage rates within Australia of $7 or more automatically include tracking. International rates do not include tracking. If you wish to add tracking to your order, please contact us. Any customs or taxation charges for destinations outside Australia are the responsibility of the purchaser. Fabrics may not be returned (unless of course it is our mistake). If there is a problem with your order, please contact us immediately and we will do what we can to fix it for you. We are very happy to provide a custom listing for you. Combine any of the fabrics available in our store to curate your own bundle. Convo us for a listing.